Majestic and untwinkling, Jupiter is the grandest of all planets. It is the largest planet in our solar system and among the brightest objects in the night sky. It shines with a noble, steady luster, and its calming presence has inspired humans for centuries. Jupiter was the “beloved star” of the first serious observers of the planets, the ancient Sumerians and Babylonians, and has inspired poetic utterances from eminent writers such as William Wordsworth and Walt Whitman. It also continues to inspire contemporary astronomers and stargazers, and this beautifully illustrated volume brings our understanding of Jupiter right up to date. The scientific study of Jupiter is at a watershed: NASA’s Juno space probe has entered orbit about Jupiter to investigate the planet, while information gleaned from improved telescopes and other robotic explorers in space continues to improve our understanding of the planet’s origin, evolution, and composition. Jupiter provides a concise and expert overview of the history of our observations of this largest of planetary spheres, as well as reports on the much-anticipated initial findings from the Juno space probe. Also incorporating other recent research that is not widely available, Jupiter is an accessible and engaging introduction to planetary science that will deepen our knowledge both of this magnificent planet and of our own place in the solar system. "In this superbly researched and illustrated guide to the giant planet, the authors have trawled through centuries of humanity's archives for documentation of Jupiter, looking for engaging ways to explain what astronomers know about the planet, and how they found out. . . . The illustrations are exceptional, reproducing one archive gem after another. . . . Reading this comprehensive primer on Jupiter ­ and on planetary astronomy itself ­ is as enlightening as it is thoroughly enjoyable." "The gas giant planet Jupiter, with its red spot and ever-changing meteorology, has fascinated human curiosity since as far back as records exist thousands of years ago. Sheehan and Hockey add to the Kosmos series of books exploring our Solar System and beyond by looking not only at the historical and cultural context of Jupiter’s continued signiﬁcance but also by exploring its parts, from its atmosphere and weather patterns, to its rings and moons. They present the knowledge accumulated from the earliest observations by Galileo to the Juno mission’s latest discoveries." "For more about the largest planet in our solar system, check out the beautiful hardcover book Jupiter by Sheehan and Hockey, from the Kosmos series. We handpick reading recommendations we think you may like." "A glossy coffee-table title, packed with more than one hundred images and illustrations. 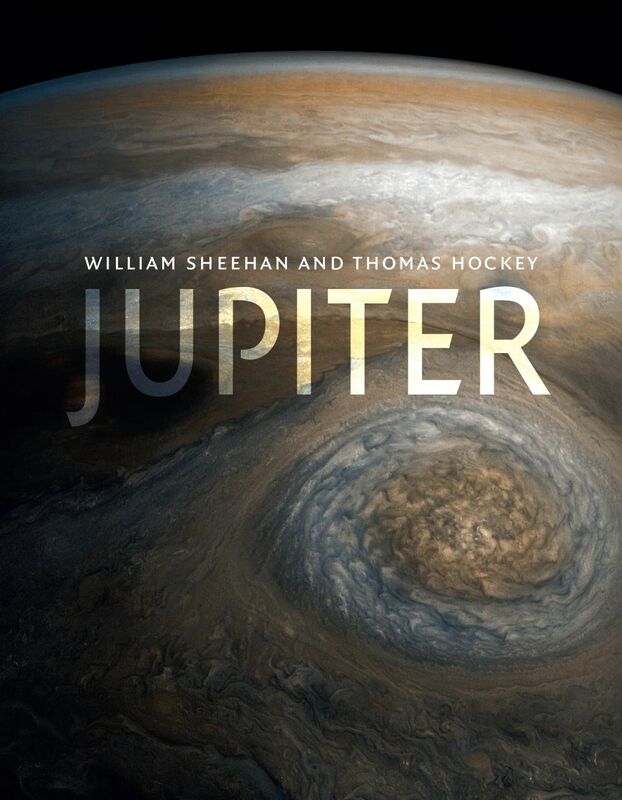 The opening chapters do a good job in tackling the birth of the solar system and all the Jovian planets; describing how they formed; before delving into Jupiter itself, layer by layer, from atmosphere to core. . . . Sheehan and Hockey’s language is clear. . . . The book is well-paced. . . . A useful and practical planetary-science primer." "This compact book covers a great deal of ground about the giant planet. Recommended."